Fashion’s favorite ‘90s supermodels have reunited in a short film, proving they’re still the enviable girls of glitz, glamour and grunge. Aptly titled “The Reunion,” Peter Lindbergh shot models Cindy Crawford, Tatjana Patitz, Eva Herzigova, Karen Alexander, Nadja Auermann, and Helena Christensen for Nowness. 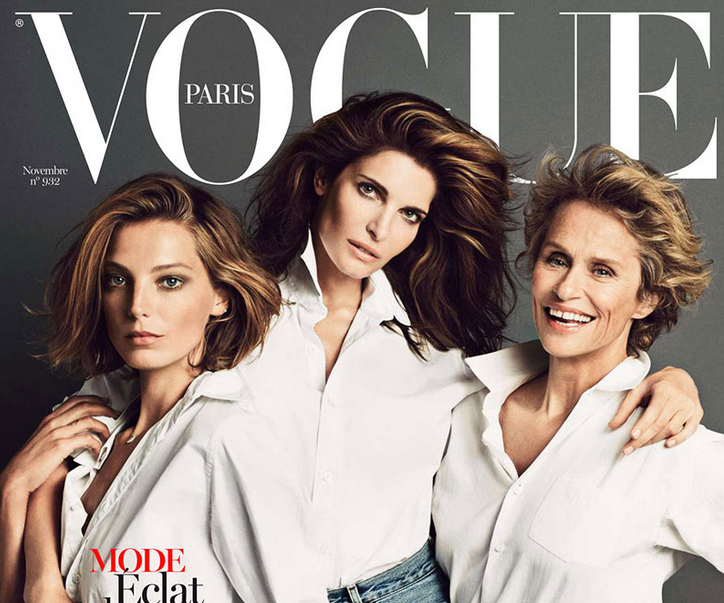 Clad in chunky knits, the models mimicked their iconic 1990 “white shirt” Vogue cover, which not only catapulted their careers, but defined ‘90s fashion aesthetic. Besides effortlessly posing like it was 1990 all over again, the supes reminisce about their time of runway dominance, including dominating the runways and starring in George Michael’s “Freedom! ’90” music video. In fact, ’90s style has carved itself into the annals of fashion, with recent covers and spreads featuring the classic white shirt.